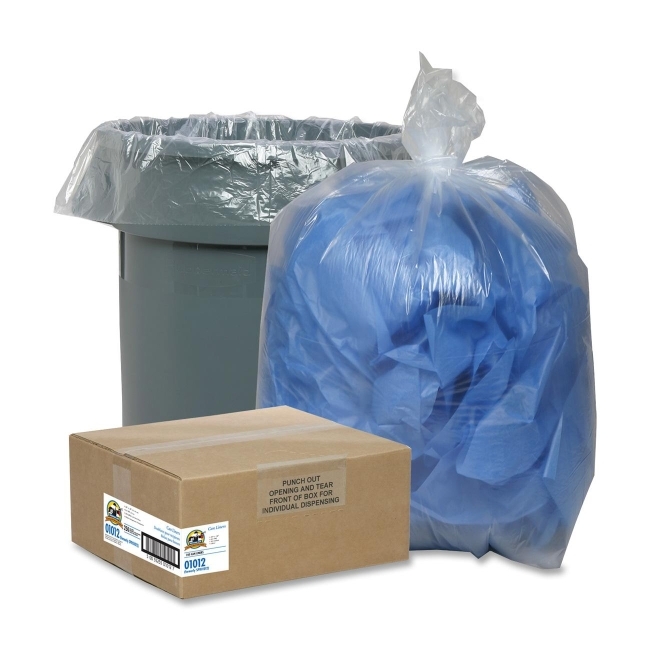 Trash can liners are ideal for recycling and pilferage control. High-clarity film allows easy viewing of contents of bag. Individually folded, flat bottom bags dispense one at a time for ease of use and portion control.